Appaloosa Directory - O Horse! Appaloosa coat patterns, coat colour genetics and practical information for breeders of spotted horses. 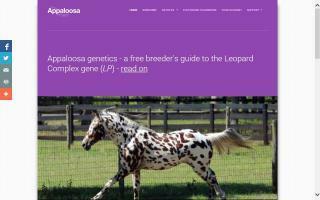 Genetic research into Appaloosa patterns. 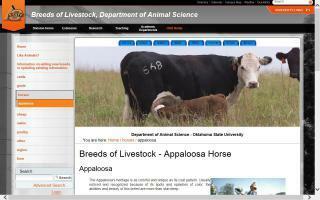 Oklahoma State's breeds of livestock - history and information about the Appaloosa horse.